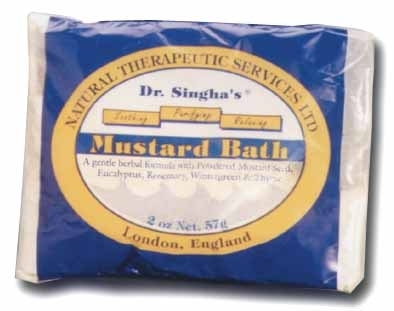 Dr. Singha's Mustard Bath formula is a natural therapeutic way for soothing, purifying and relaxing for the body. A gental herbal formula with Organic Powdered Mustard, Eucalyptus, Rosemary, Wintergreen and Thyme. Assists in breathing and reduces nerve pain.